Your customers are already interacting with brands through social media. If you’re not speaking directly to your audience through social platforms, you’re missing out! Maybe you’ve been avoiding it or maybe you just have no interest in it, but social media marketing is an unstoppable force that is changing the way consumers make important decisions. We’ve had this discussion with many of our clients who have been hesitant to jump on board, and what it all comes down to is this: social media provides more opportunities for you to put your business out there, and more exposure means more chances for people to find you! We know that it is hard to dedicate the time (it does require quite a bit), find new and creative ways to participate, and just keep up with the changes (it seems like they’re always happening! ), so that’s why YellowDog is your social media marketing partner. Social media channels such as Facebook, Instagram, Snapchat, Twitter, LinkedIn, YouTube, etc. are a mainstay in today’s world. So once you’ve decided to tackle the hardest decision (whether or not you should participate), it’s time to take action! YellowDog will help you establish your personality, your voice, and ways in which you can successfully interact with your customers. And it if still seems like too much, you can always count on us to run your social media accounts for you – we have plenty of experience in that area, too. Your current customers want to know more about you than what your website offers. They want to hear about new products, what you’ve been up to, and just generally keep up with your happenings! People have comments to make, and one way or another, they’ll find a social media channel to post them. Social media provides a chance to participate with both positive and negative feedback, and gives you the opportunity to get to know your customers better. Social media provides the opportunity for you to become more approachable – people feel a connection when they can see what kind of image you are projecting and how you interact with other customers. No matter what social media channels you are using, everything leads back to your website. If this is your main source of information, there’s a good chance people will eventually make their way to your website via social media. Social media provides a quick, easy way for you to get news out quickly. Plus, people like to be the “first” to share information, so chances are if you have something cool to announce, they will share it with their friends! As much as we will encourage you to comfortably participate in social media, we are well aware that establishing social media channels does not take an all or nothing approach. Depending on the type of business and the audience you are trying to reach, some channels are much more appropriate for you than others. 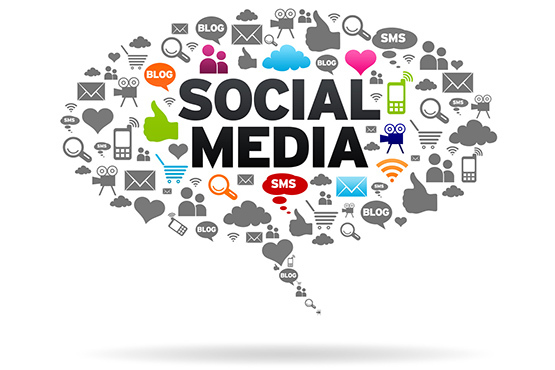 We will determine the best plan for you, and use Google Analytics Social to monitor your social media investments. We want to make sure you are getting the greatest return on investment (ROI) possible. YellowDog is not here to force you into something you are unsure about or ill-prepared for. If you are considering social media marketing or wondering what it’s all about, we can meet with you and determine the path that best suits you. The great thing about social media marketing is that participation is up to you, so even if you want to engage but don’t have the skills or know-how, we can guide you in the right direction! Give us a call so we can devise a personal plan for your business! Let us help you make your online business more successful. We are your St. Louis social media agency, and we are ready to work with you! Call or email us today for a free consultation.